Custom T-Shirts. You design it. 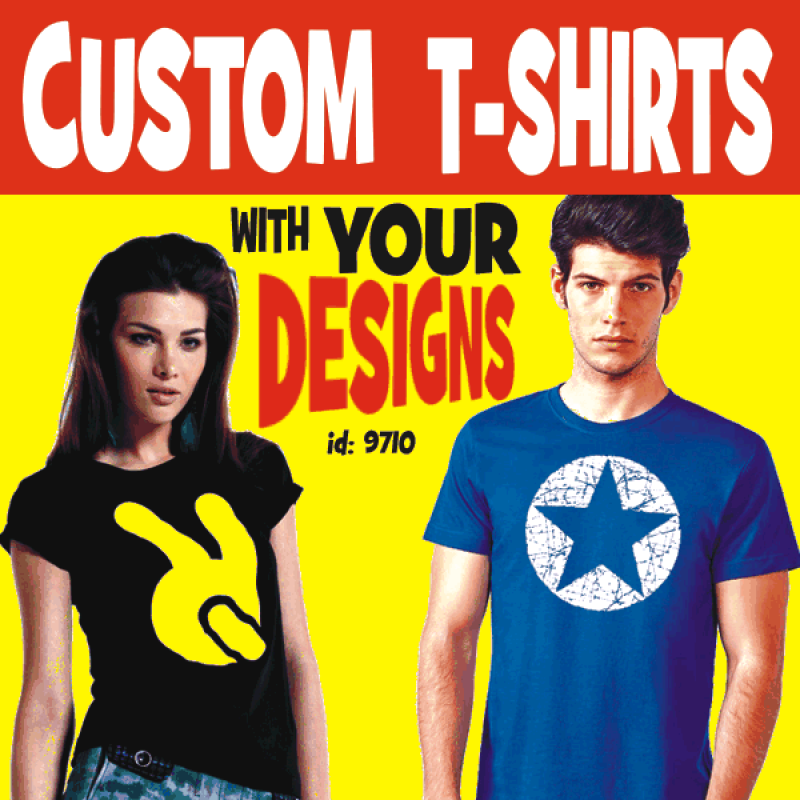 Your 1 COLOR Design printed on t-shirts ready to wear. 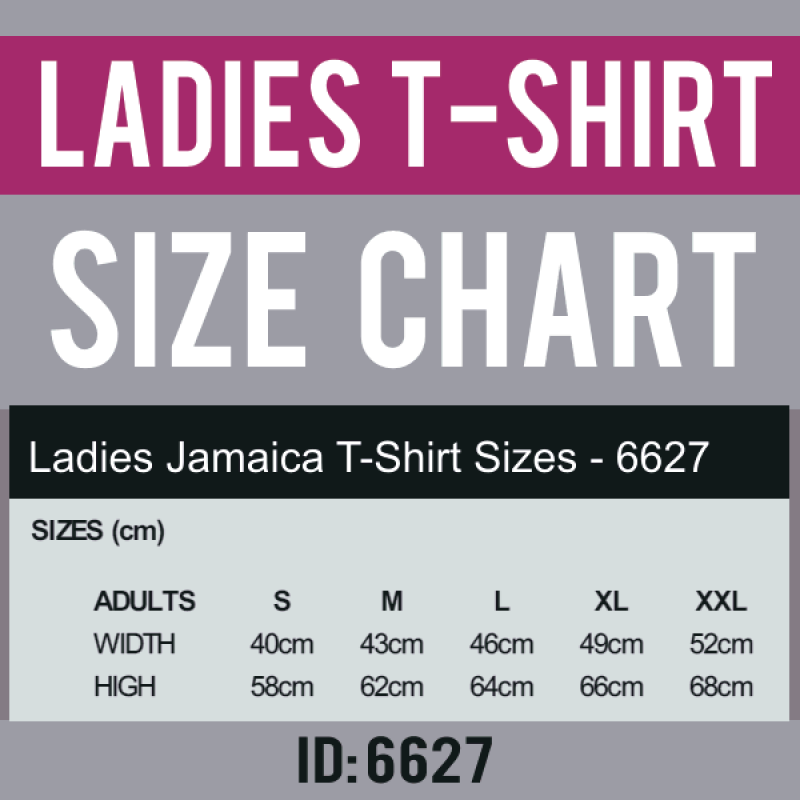 Choose from Ladies Fitted or Mens slim fit t-shirt styles available in various colors in all sizes. 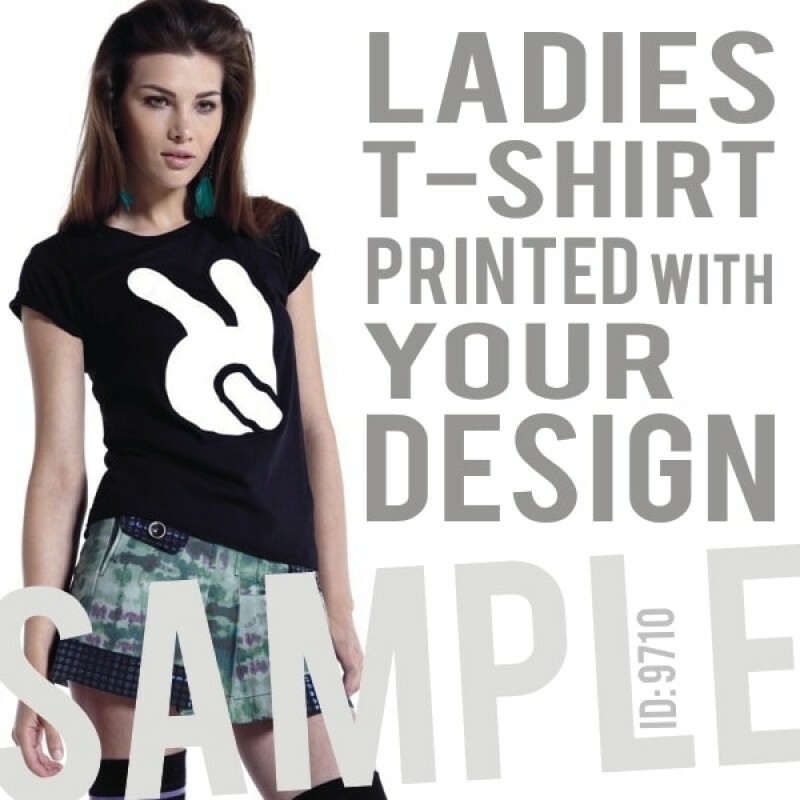 Designs are printed via DecoFlex process, soft touch with matt finish, washable. Designs maximum size up to 8" x 8" (20x20cm). Clients need to Provide designs Artwork in its Exact Size at 300 DPI Resolution, without backgrounds and finished. File type: CDR, EPS, TIFF or BMP. in Color BLACK. Submit Artwork via Email or Upload after checkout. To Order choose t-shirt style, ladies / mens, color and size. 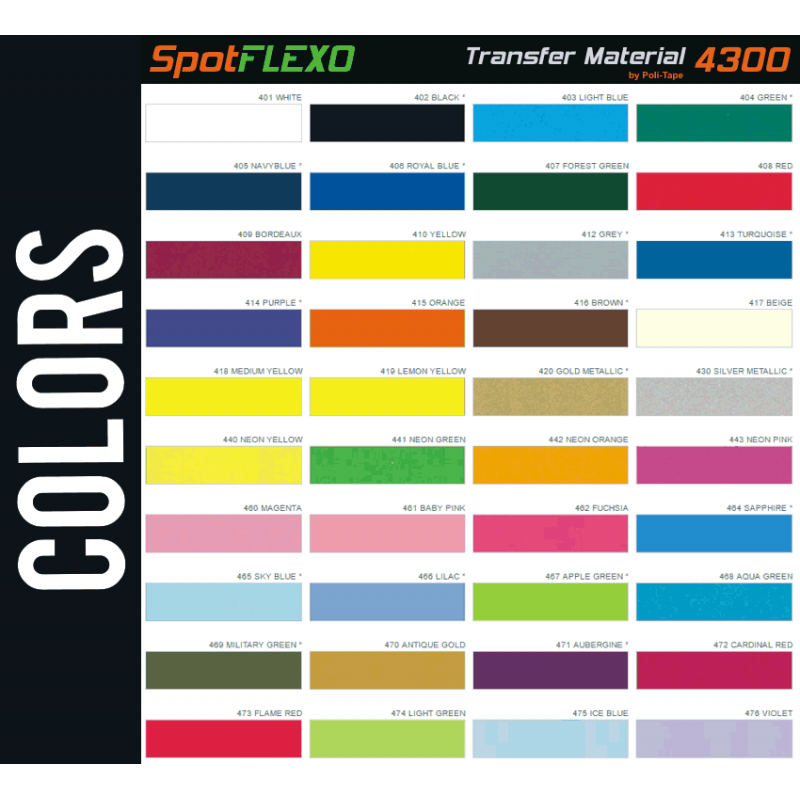 Select your design color, and where to print the design on the shirt, front, back, sleeve or all print locations. 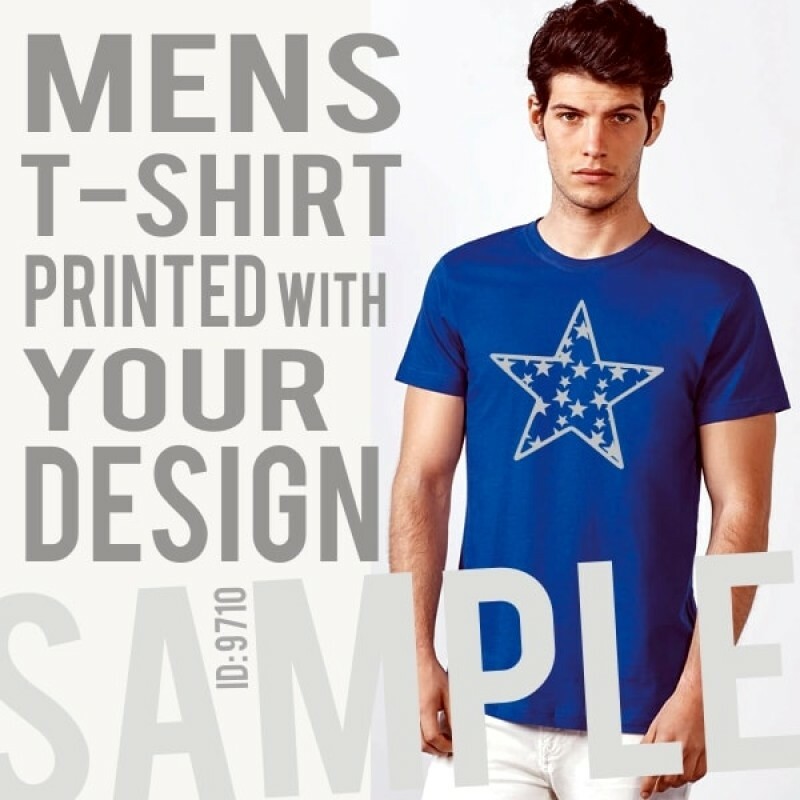 Artwork Design maximum size up to 8x8 inches (20x20cm), provided its EXACT size, as CDR, EPS, TIFF, BMP ( JPG for multi-color art ONLY) file types. Clothing Mens Slim Fit Short sleeve t-shirt, double layer neck with elastane, made in tubular fabric, Reinforced covered seems in neck. 100% cotton, single jersey, 155 gsm. Clothing 2 Ladies Fitted short sleeve t-shirt, crew neck, double layer 1x1 rib, reinforced covered seams in neck and shoulders, side seams. 100% cotton, single jersey, 155 gsm. 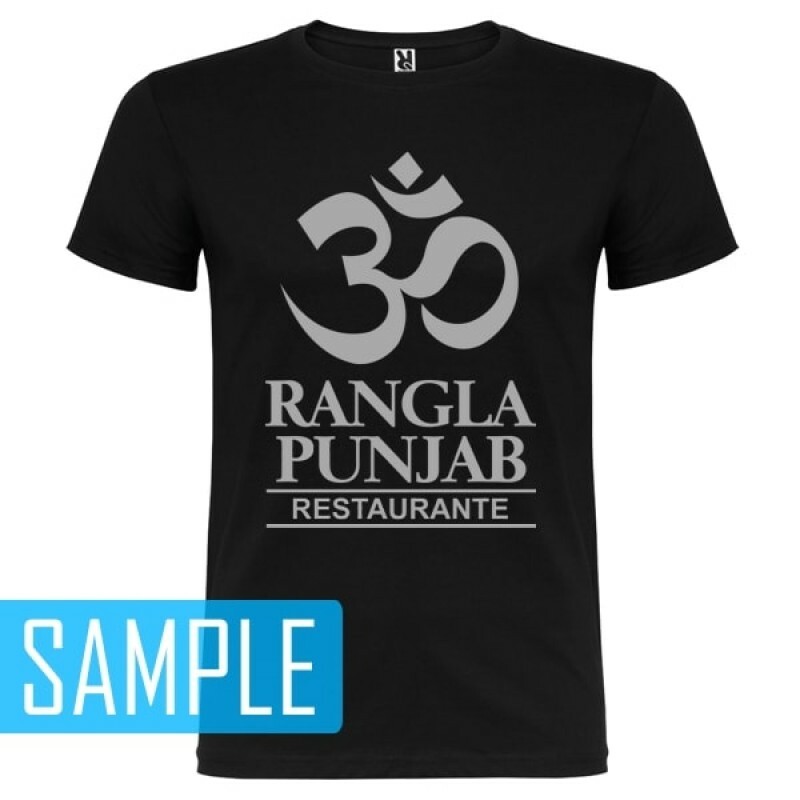 Size T-Shirts available in AduLt Sizes: S-M-L-XL-2XL. 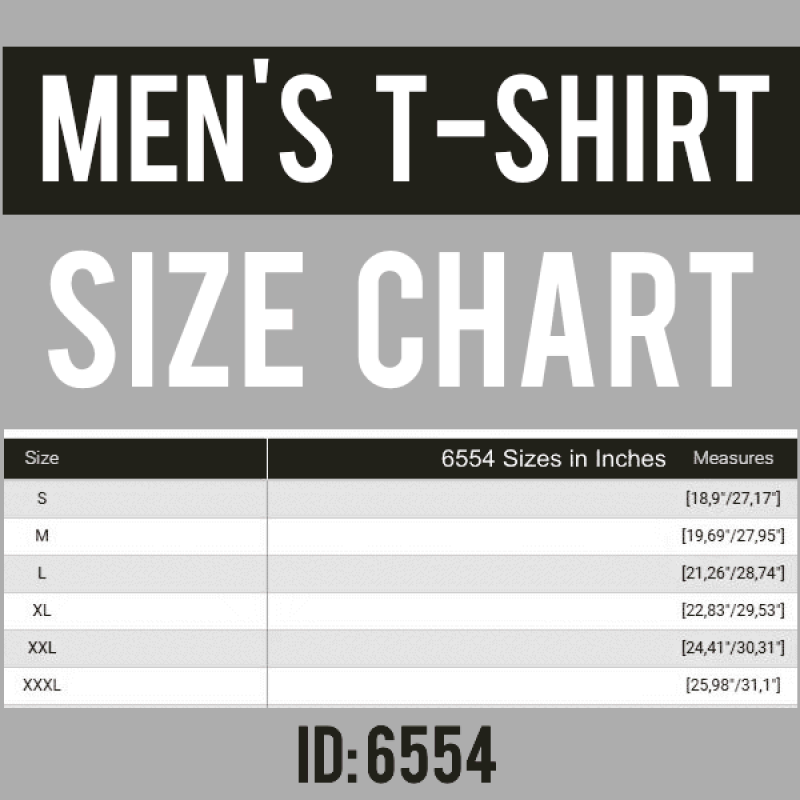 View product size chart. Care Wash T-Shirts inside out, cold, Dry low temp. Hang to dry recommended. Do not directly iron or steam clean. 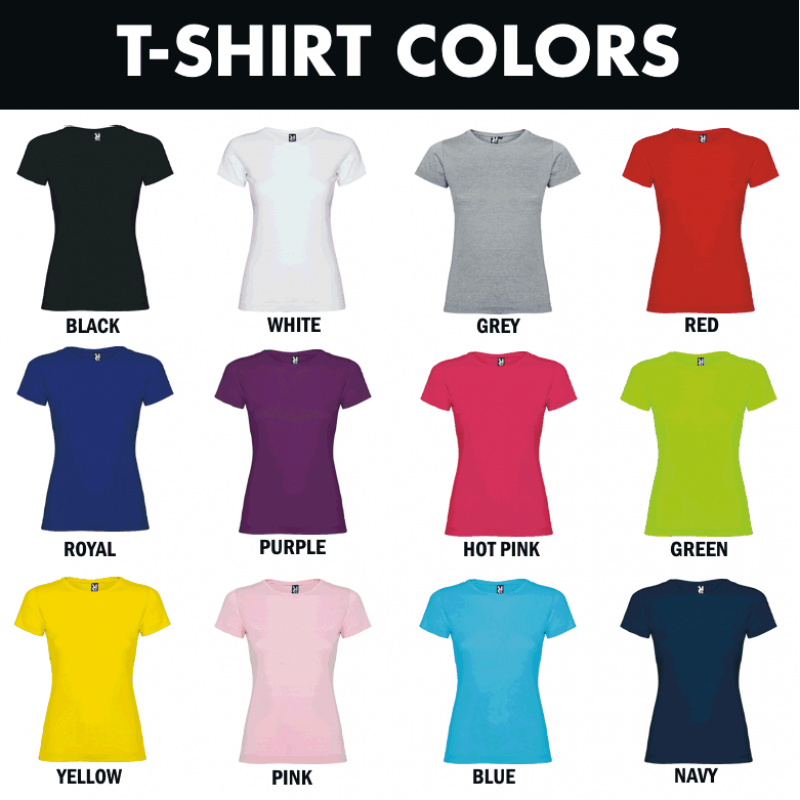 Color Choice T-Shirt colors available: White, Black, Red, Royal Blue, Yellow, Pink, Hot Pink Green Oasis, Grey, Orange, Navy Blue, Chocolate Brown, Purple, Turquoise.